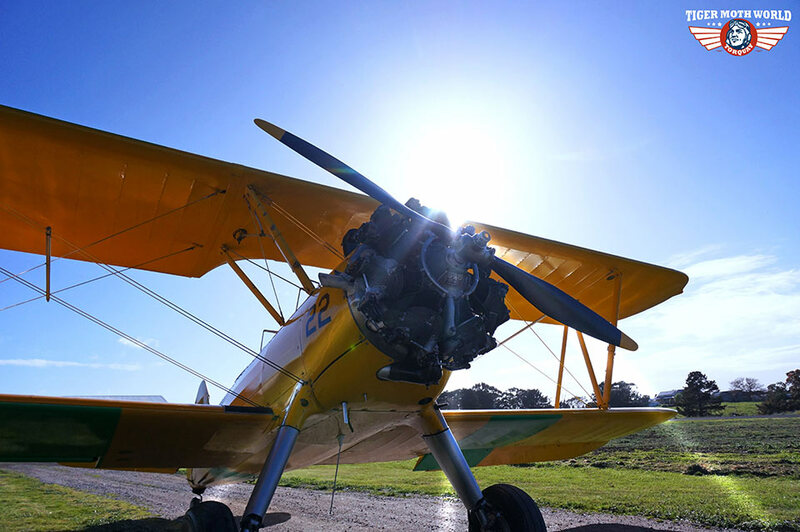 Step back in time and climb aboard a Tiger Moth World open cockpit biplane for an adventure flight of a lifetime. 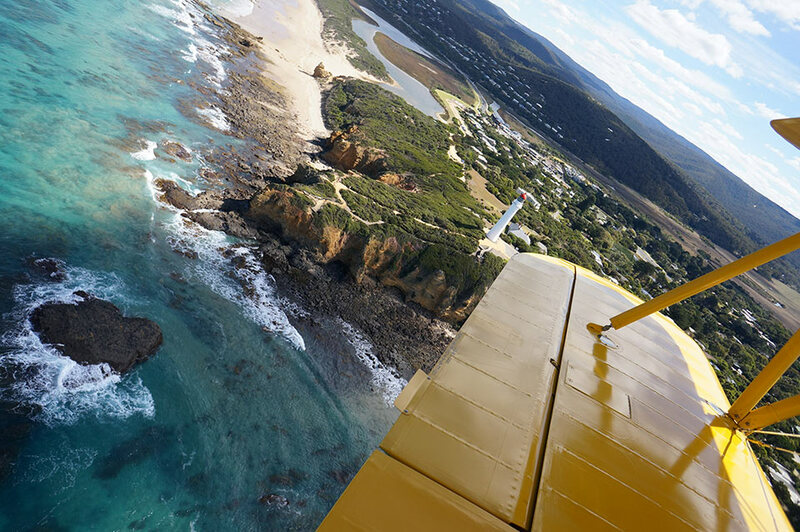 Fly the Great Ocean Road and experience one of the wonders of our world by air. It is a memory you’ll have for life. 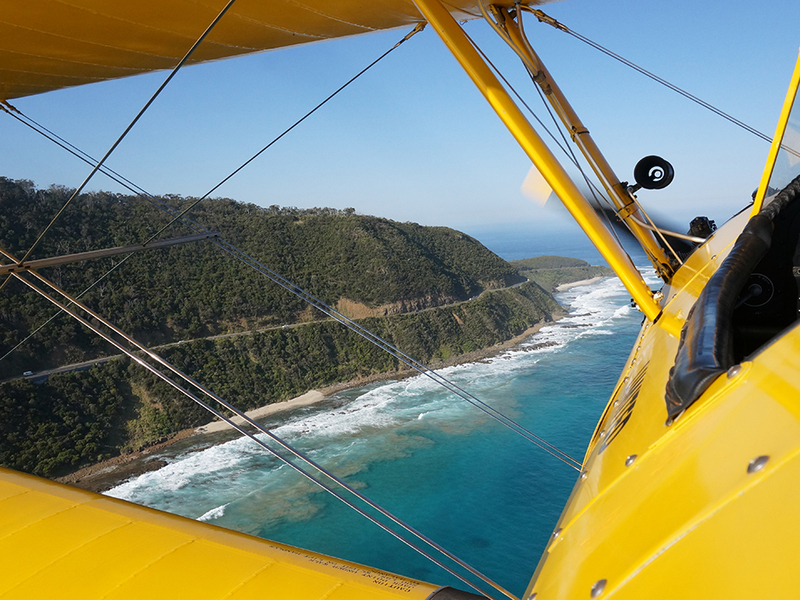 Fly the spectacular Great Ocean Road in an historic WWII open cockpit biplane. 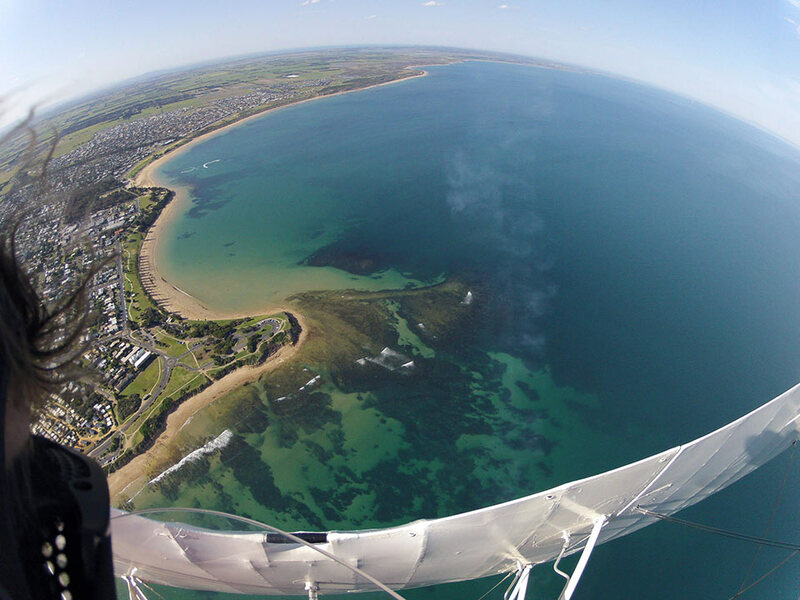 Step back in time to the 1930’s for an unforgettable Tiger Moth World adventure flight. During World War II, the biplanes handling was ideal for training future fighter pilots and these aircraft allowed the brave young pilots to hone their skills before moving onto Spitfires and Mustangs. You too can experience the wind in the wires and become “Biggles” for a day from only $250 for an adventure flight in an authentic vintage biplane. We’ll gear you up in full flying suit, leather jacket, helmet and goggles – just like Biggles. 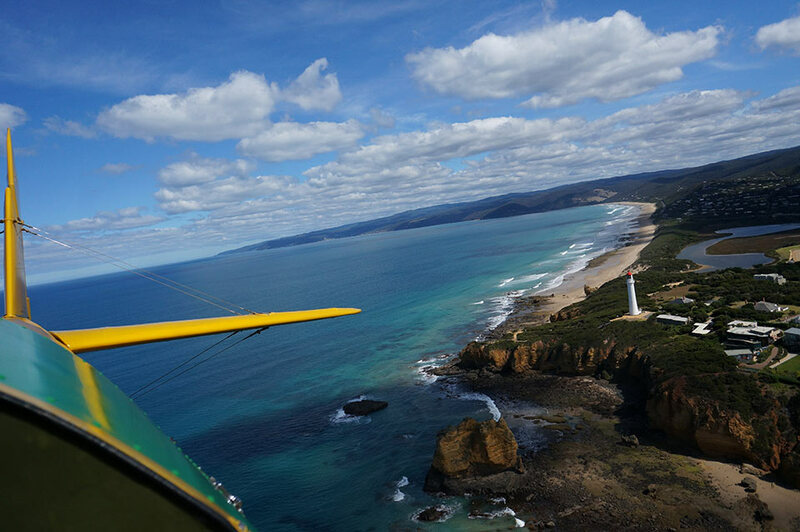 One of our most popular flights is the Lighthouse Spectacular at $425 – a magical vintage biplane flight along our spectacular beaches and cliff tops with highlights such as Aireys Inlet Lighthouse on the Great Ocean Road or Point Lonsdale and Queenscliff Lighthouses by The Rip entrance to Port Phillip Bay. 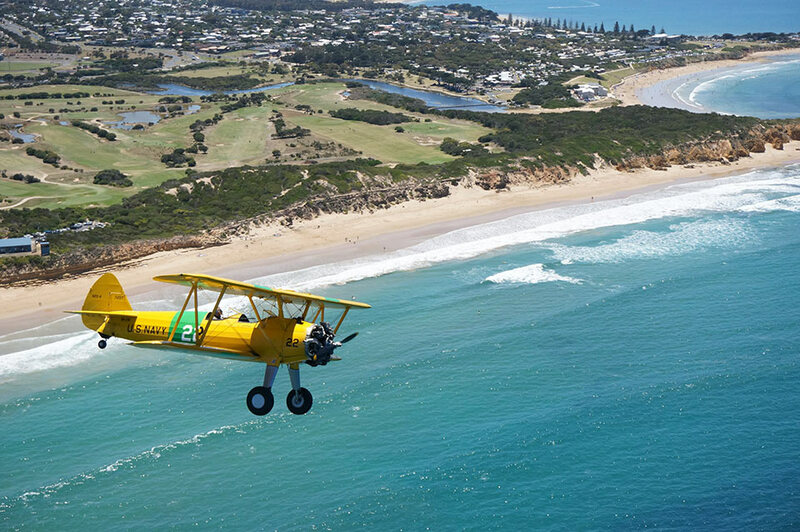 Whichever flight you choose, from liftoff to touchdown, you and your vintage biplane will wing your way along the beach and cliff tops – one of the most spectacular views in the world. 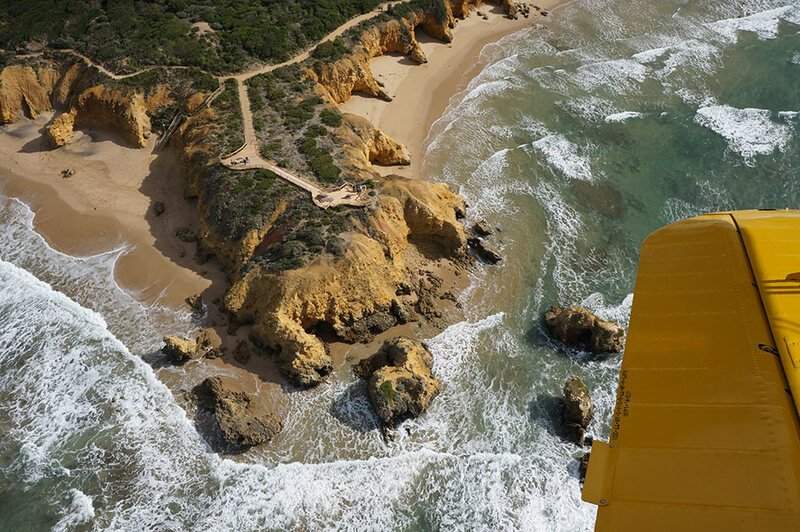 And, because we are located right on the coast in Torquay, your flight will be at low level over the beach to take in the magnificent coastal scenery. 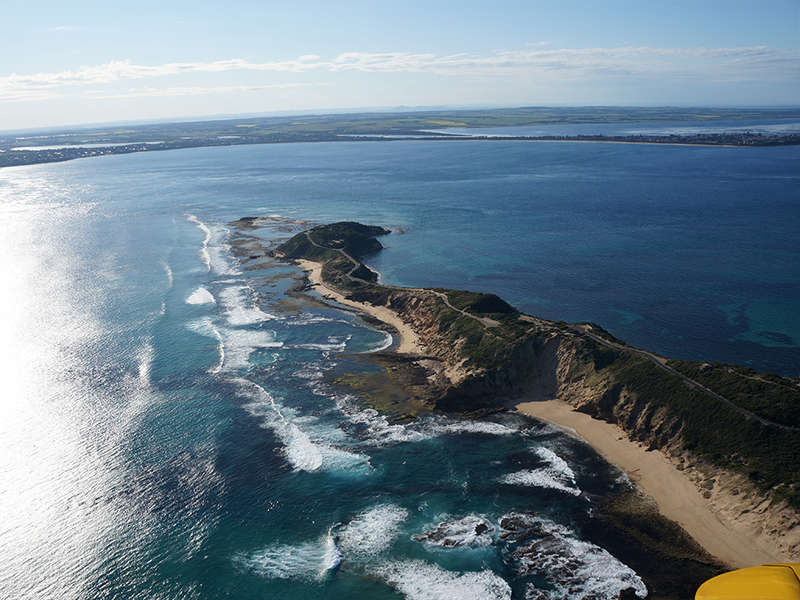 The hardest choice is “which way do you fly” along the world famous Great Ocean Road to Bells Beach and beyond or along the rolling sand dunes toward Pt Lonsdale lighthouse and the awesome Rip Passage and across to Sorrento. If you’re a thrill seeker, then why not add on an aerobatic option? 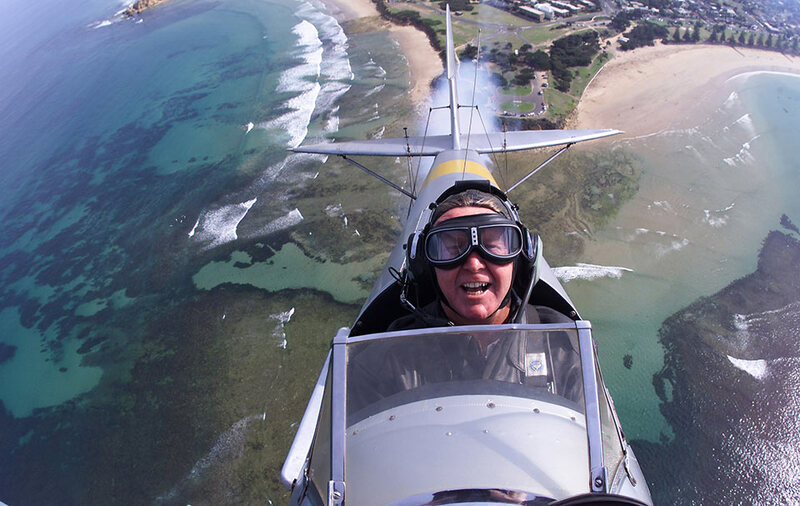 Try our Barnstormer, Mild or Wild Aerobatics. 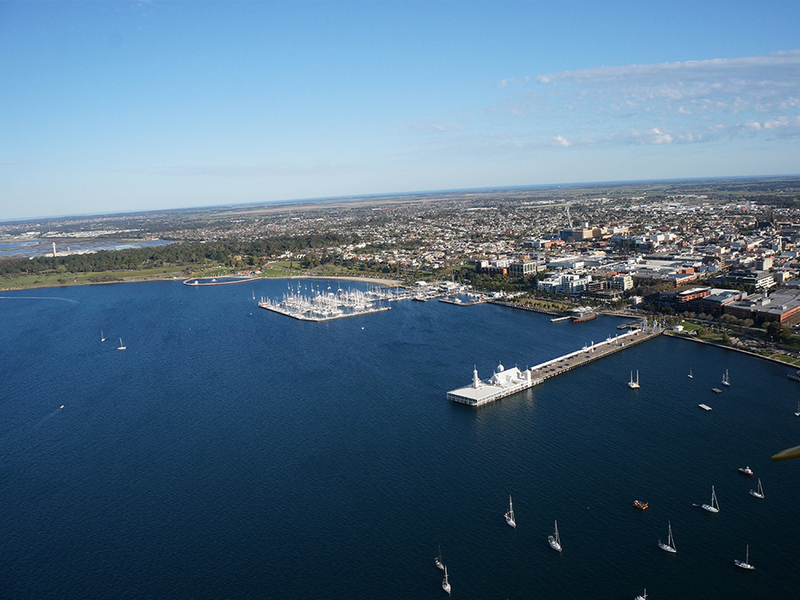 Or for those who dare our adrenalin pumping Extreme Aerobatics. We’re here to make you happy. The team at Tiger Moth World are waiting to “make your day”! We don’t operate on any set flight schedule – we will book your flight at a time and day to suit you. The ultimate low level roller coaster in the sky! 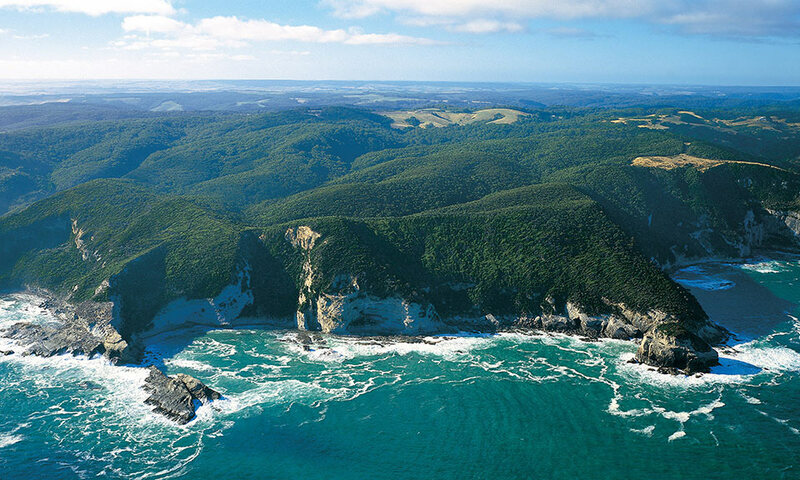 Steep wing-overs and turns are you cruise down the great ocean road cliff lines. Not for the faint-hearted. This full aerobatic sequence includes more loops, rolls and stall turns as well as death defying spins.